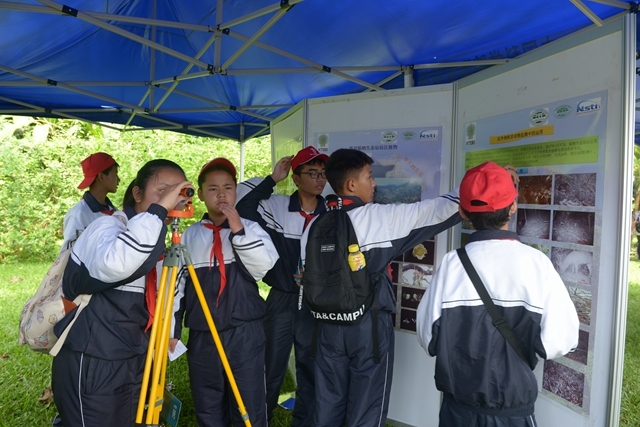 The 3rd Youth Science Festival of Xishuangbanna Tropical Botanical Garden (XTBG) was held on May 19-20. It is a science fair for youth with an interest in science and technology, and is an event to showcase the science progress undertaken by the young research fellows and graduate students of XTBG. The science festival is themed with “Science in your words”. It encourages young researchers to show their work, projects, and activities from across the science. It also aims to convey cutting-edge technologies, provoke the public’s spirit of active scientific exploration and thinking, and increase science literacy of local school students. 54 conference style poster presentations showcasing progress in plant science, ecological studies, and conservation study are made. Some equipment and research samples are also on show. 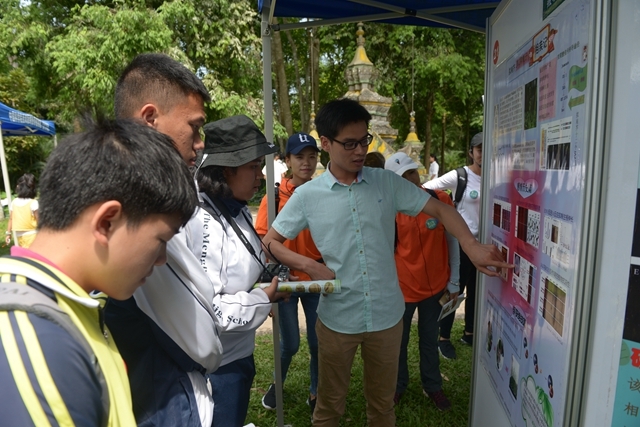 The presentations covered such topics as perspectives of tropical rainforests, microscope exploration, wisdom of plants, artificial caterpillars, plant physiology, herbal medicine, forest conservation, etc. The interactive items such as making artificial caterpillars, plant and animal specimens, three-dimensional printing, and rainforest cylinders, etc. attracted many visitors and increased the public science interest. 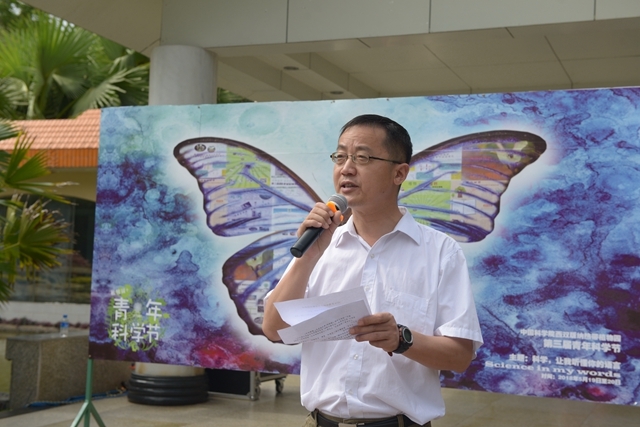 At the opening ceremony on May 19, Prof. Hu Huabin addressed the participants. Prof. Richard Corlett said that the festival connected young scientists and the public closely and is a good way to show our progress in sciences. At the Science Festival, the young research fellows and students gather together to interact and exchange ideas that will enhance their knowledge of various science applications. 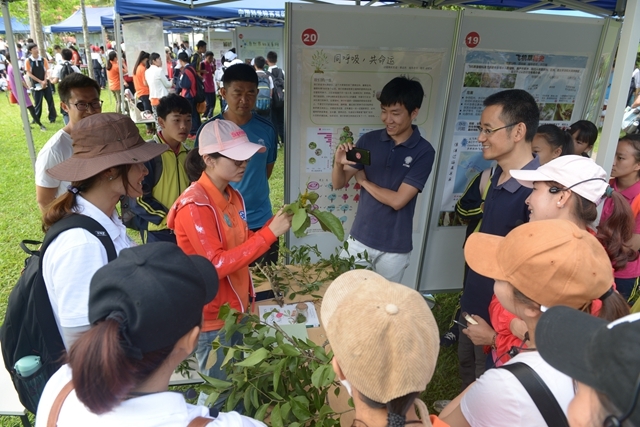 About 1,000 students (across primary and secondary levels), educators, and tourists participated in the science activities on the opening day. 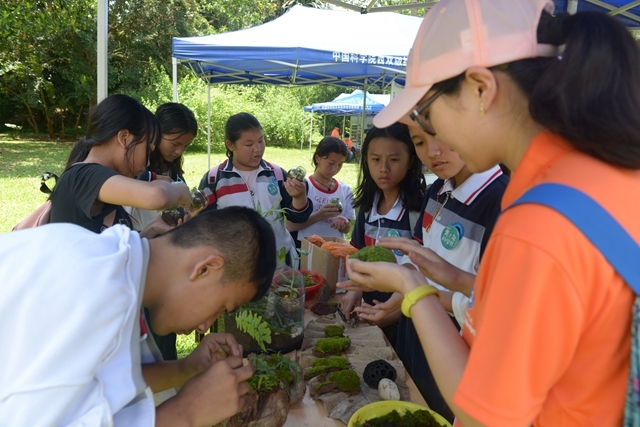 The Youth Science Festival is also part of celebration for the National Science and Technology Week, CAS Public Science Day, and International Biodiversity Day. It is the third year for XTBG to hold the event. Local students interested in rainforest cylinders made by XTBG graduates.